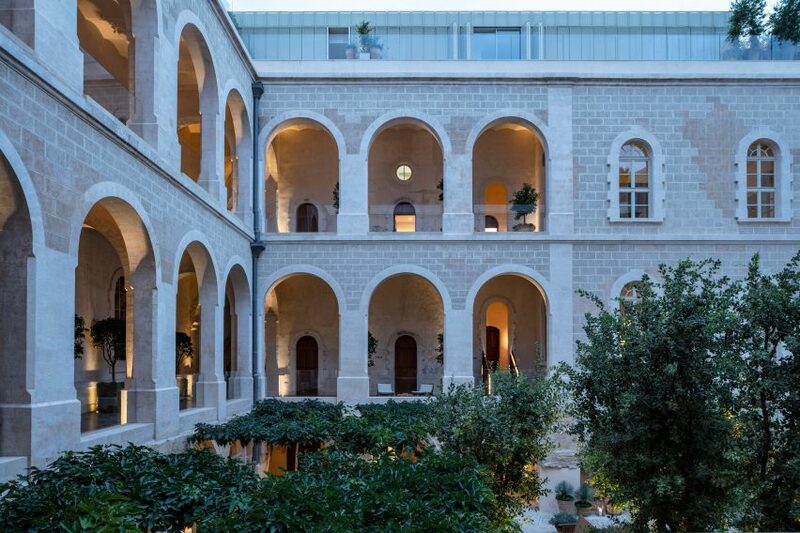 British designer John Pawson has completed the overhaul of an ornate convent and hospital into a hotel in Tel Aviv's historic Jaffa neighbourhood. 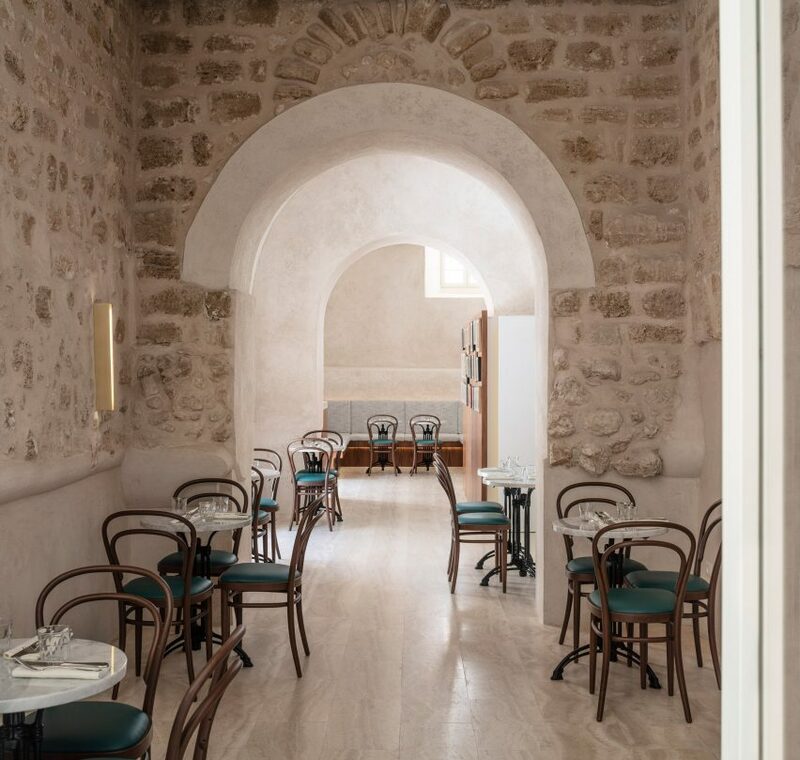 The Jaffa Hotel sits near the top of the hill where the ancient Mediterranean port is located, to the south of the Israeli city's modern centre. 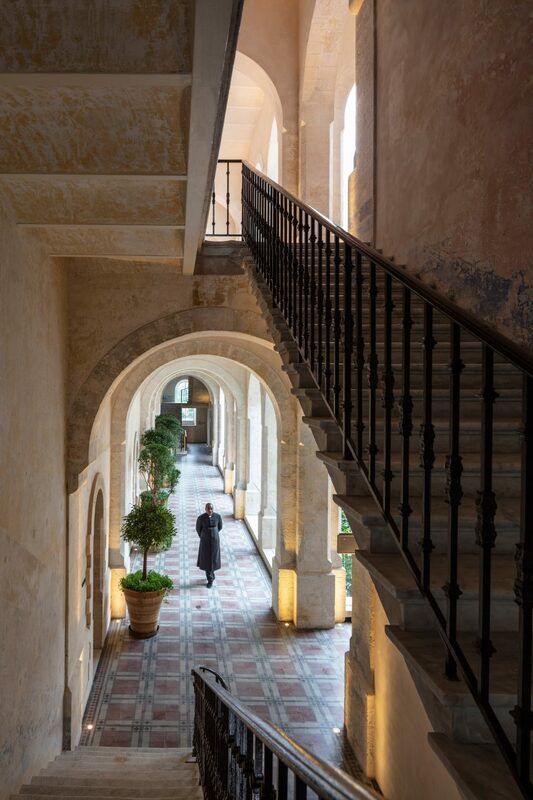 John Pawson restored and renovated the School of the Sisterhood of Saint Joseph convent, and adjacent 19th-century former French hospital, to create boutique accommodation. He worked with local architect and conservationist Ramy Gill to transform the property, mixing the variety of architectural styles – including Arabic and neo-Roman – with contemporary elements. 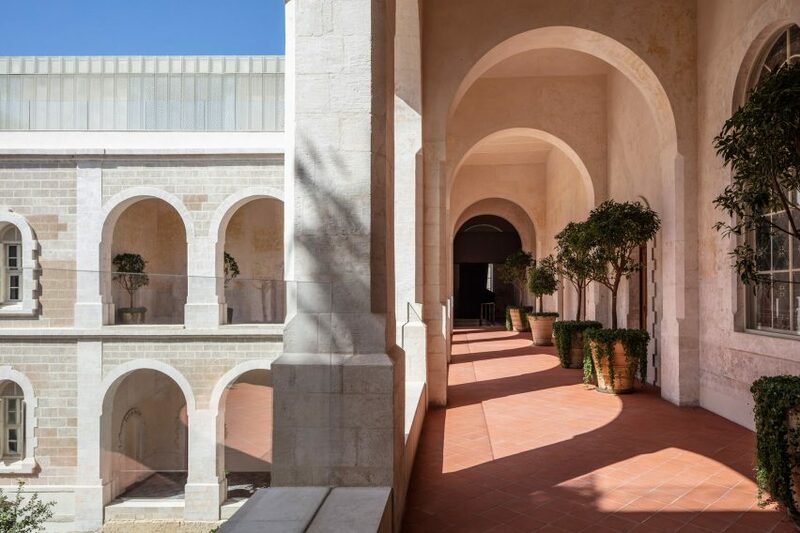 The Jaffa Hotel comprises 120 hotel rooms and suites, and an outdoor pool, all connected by arched colonnades and gardens. A new six-storey wing also accommodates 32 private residences, each with its own entry. A secluded central courtyard filled with trees is situated between the old structures, which form a U shape, and Pawson's addition. Landscape work for the project was done by New York firm Rees Roberts and Partners. 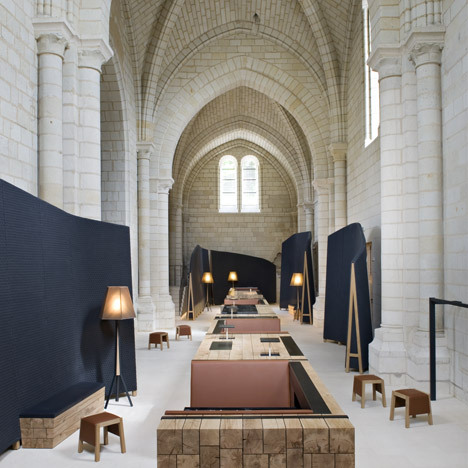 In the historic buildings, Pawson preserved the historic details and juxtaposed them with modern furnishings. Restored elements include stucco, stained glass windows, and stonework that dates back to the 12th century. "The plastered walls were scraped down to reveal the generations of patina that touch the building's signage and paint patterned walls, paying homage to the building’s historic beauty," said a statement from the hotel. 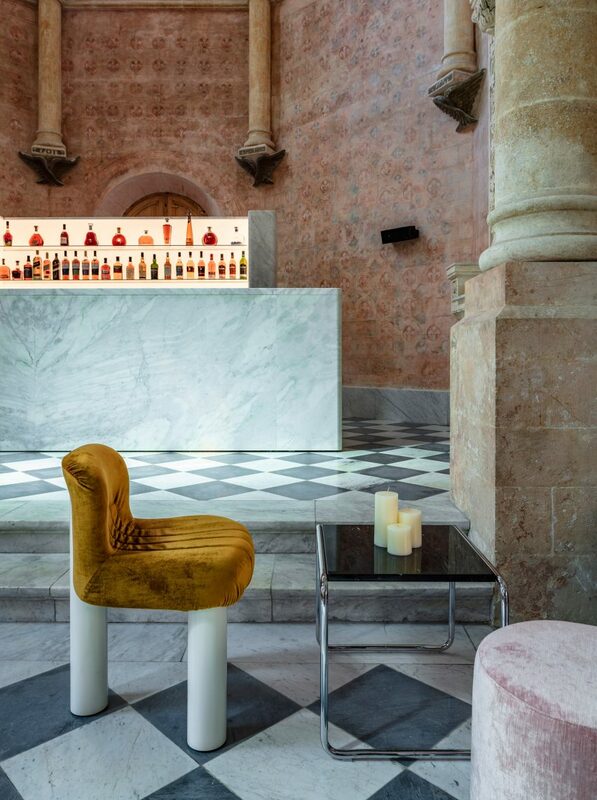 A focal point of The Jaffa Hotel is the bar and lounge, aptly called The Chapel due to its location in the former school's prayer space. 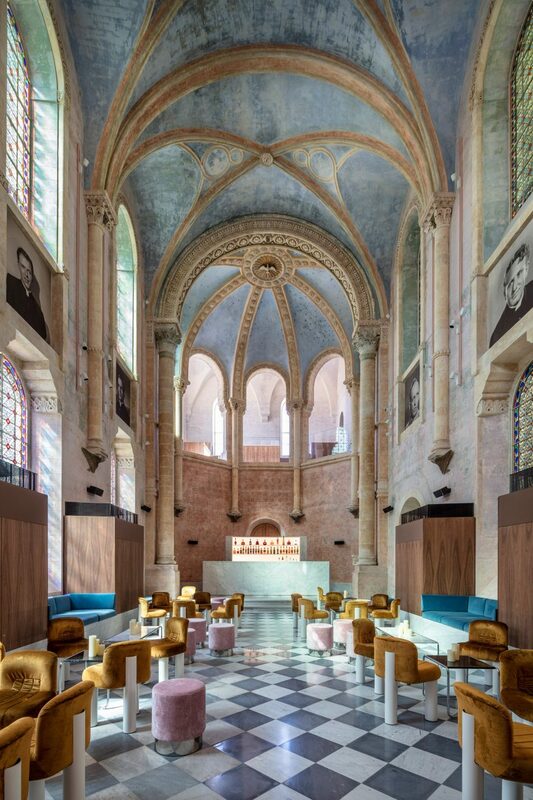 Soaring vaulted ceilings and decorative plasterwork create a dramatic setting, with colourful soft pink, blue and mustard seating matching colours picked out from the paintwork. The lobby is located in the new building, but encompasses remnants of a 13th-century bastion wall, which was uncovered during excavation and is now a focal point of the room. 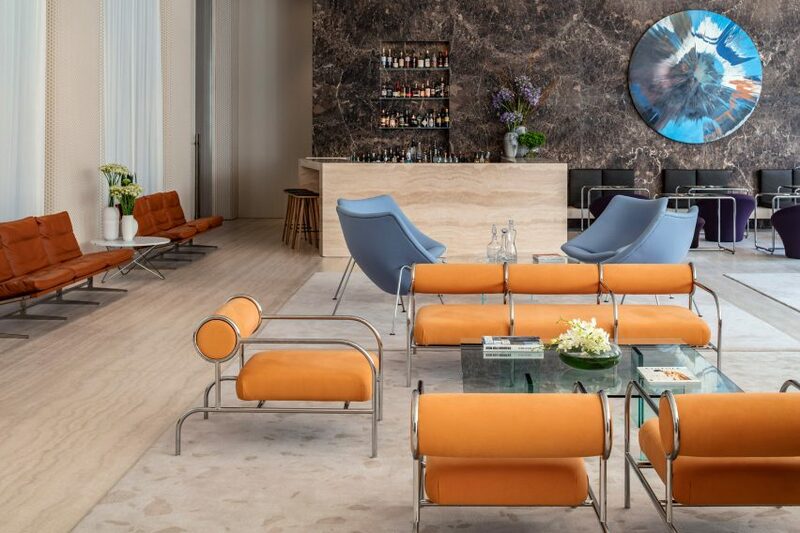 The entrance hall is populated with modern furnishings, including orange lounge chairs by Japanese designer Shiro Kuramata for Cappellini, and pieces by French designer Pierre Paulin. Among other decorative elements are works by British artist Damien Hirst and images by Israeli photographer Tal Shochat. The lobby also includes a Sheshbesh lounge, named after the Turkish game similar to backgammon. Pawson custom-designed tables as a nod to the game, which was historically played by merchants in Jaffa. The designer referenced an Arab wood-carving technique known as mashrabiya for perforated balcony guards and window shutters, which are seen on the street-facing rooms of the new building. For dining options, the hotel contains Italian restaurant Don Camillo and Jewish deli Golda's Delicatessen. Both are located in the basement of the 19th-century building and feature original vaulted ceilings. 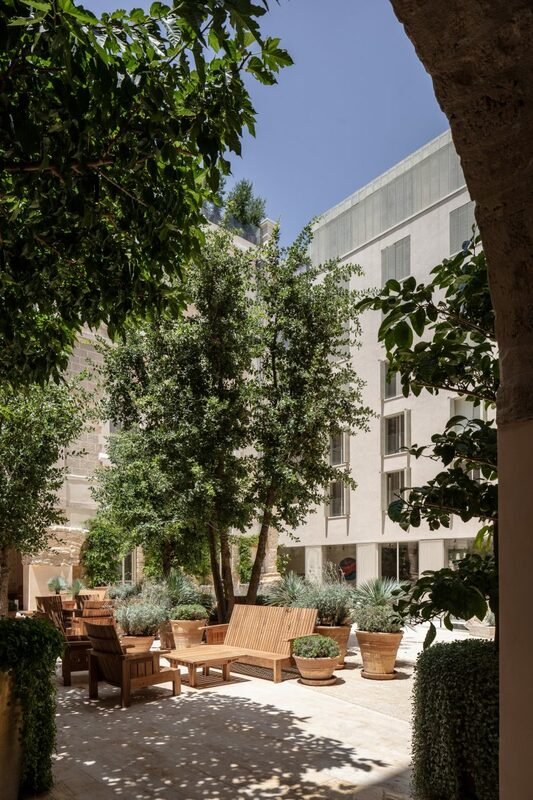 The Jaffa Hotel was developed by New York real-estate company RFR Holding, in partnership with Marriott Hotels Development Luxury Collection. Pawson first released renderings of the project in 2015, when the plans involved operation by the W Hotels brand. The designer is known for applying his minimal style across architecture, interiors and furniture projects – including his own home and studio. Pawson's other recent renovation projects include the transformation of London's Commonwealth Institute into a new home for the city's Design Museum, which he completed with OMA, and the conversion of a second-world-war bunker into a museum of Southeast Asian art in Berlin. Many of Jaffa's historic buildings are slowly being renovated into contemporary homes, while retaining their original features. 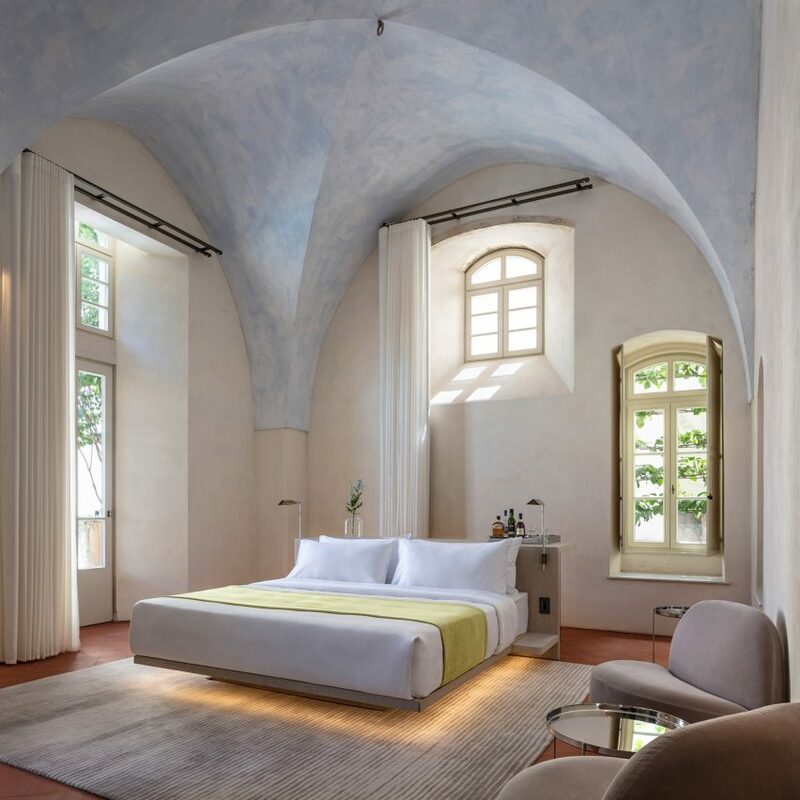 Examples include an apartment with arched stone ceilings and white plaster walls by local studio Pitsou Kedem, and a two-bedroom residence with built-in furniture pieces by Eliat Dar.